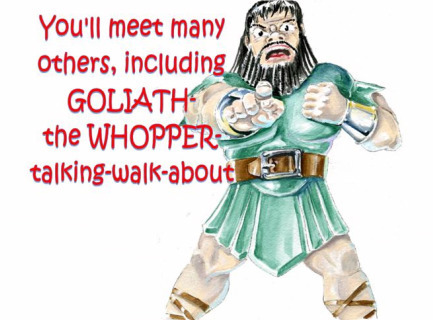 There is a story in the Bible about a WHOPPER of a giant who did not love God. Everything about him was whopper: he was whopper tall, whopper strong, and whopper mean! Everyone was afraid of this giant, except for one. This is David and Goliath told from the eyes of the littlest one. 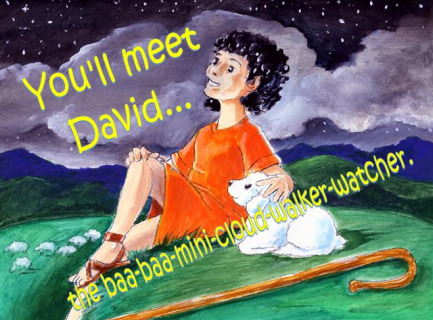 No, not from David (the watcher of the baa-baa-mini-cloud-walkers), but the rock who saw it all! 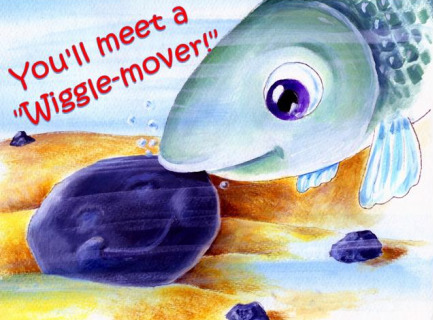 Now, rocks don't walk, and rocks don't talk, but if they could... they would tell you of the time a whopper champion came looking for a whopper fight with the army of Israel, and how God used one small boy to bring him down with a simple whopper stopper! 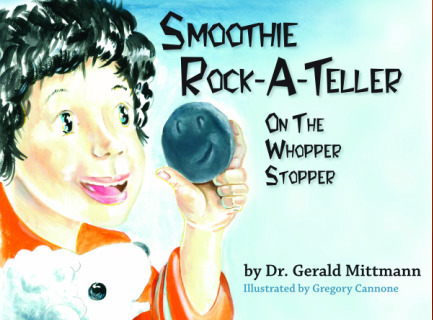 The entire family will enjoy this Bible devotion as Smoothie Rock-A-Teller shares David's story of faith and courage in a way you've never heard before! 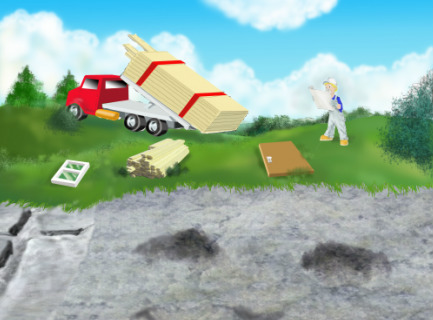 To read a review, click HERE! To read some more reviews, click HERE! 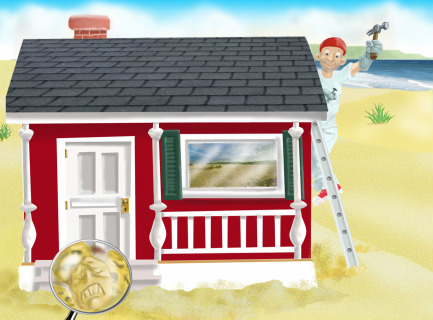 Rocks don’t walk, and rocks don’t talk, but if they could… you would soon discover that Rockie is the most important rock in the Bible and He talks about the most important topic in the Bible: Where to build your house. 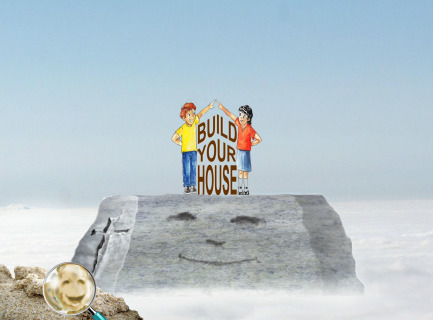 This is not about building just any kind of house, this is about building a house for the soul. 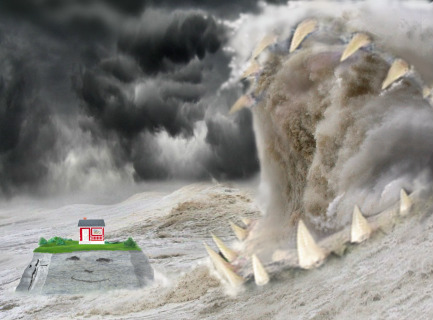 super storm that is in everyone’s future, the loudy-cloudy-typhooner-kaboomer! If you want to avoid a very big fall, listen to the Dinky-tellers and don’t build on them at all. 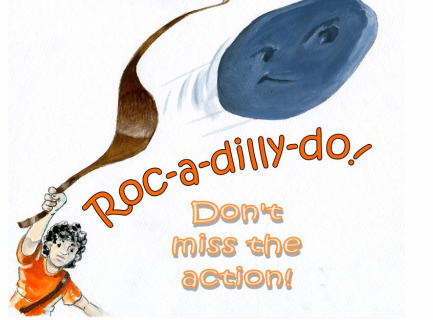 Let Rockie invite you to become a “doer” of the Divine Architect’s plan and set your block upon the ROCK! 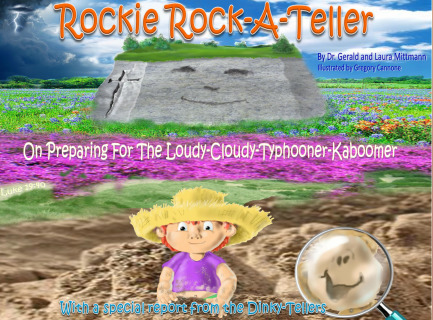 To read a review on Rockie Rock-A-Teller click HERE!